I don’t like to cook and I’ve given up meat*, but that doesn’t mean I’m not inordinately fond of my food. It does mean, however, that I eat out (or order in) a little more than I should. 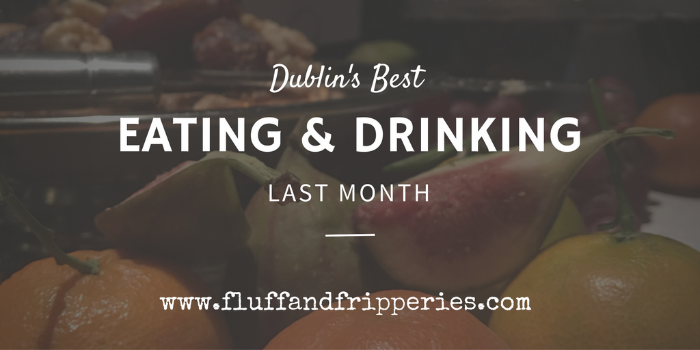 Casual dining, preferably with prosecco, is my very favourite type and in Dublin these days I’m fairly spoiled for choice. 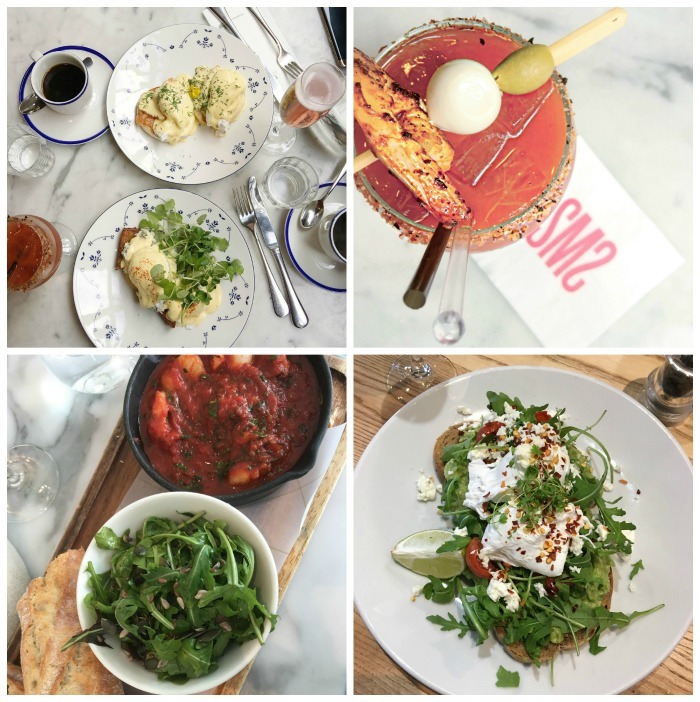 Here are my three favourite meals last month and, just so you know, none were blog freebies - not that it would change my opinion one bit, either way, if they were. Super Miss Sue: What you’re looking at in that top row of images is the tastiest meal I have eaten in forever. Super Miss Sue’s West Coast Crab salad, €15, served with poached eggs, hash browns and hollandaise, bears thankfully no resemblance to an actual salad but is a hearty and decadent brunch dish that works exceptionally well. The sweet, delicate crab contrasted beautifully with the perfectly seasoned fried potato and, washed down with an excellent Bloody Mary (€12), resulted in some unattractively smug gloating from yours truly. The Marker Hotel: I associate The Marker with a certain touch of fanciness, but from 12-10pm they offer a more casual dining experience in the bar. The dish pictured bottom left is a triumph of taste and simplicity: baked tiger prawns, served with sourdough bread and a salad. This was €14 for a dish of sheer perfection that absolutely hit the spot, with plenty of big, juicy prawns in a rich chilli, tomato and garlic sauce that was packed with flavour. Two Boys Brew: Probably the best brunch spot on Dublin’s northside, this spacious Phibsboro coffee shop serves up a varied menu, excellent coffee and even a glass of prosecco, with laid-back aplomb. On our first visit I scoffed the avocado mash on sourdough, which comes with poached eggs, roast cherry tomatos and feta, €10.95 (pictured), while himself tucked into the Brew Boys Benedict: slow cooked beef cheek on a crunchy potato cake, with poached eggs and hollandaise sauce, €12.50. The thing that really impresses me about this menu is that there’s loads I can, and want to, eat, while meat-lovers can still add some on the side; Mr Fluff ordered chorizo, for an extra €2.95. *but not seafood, in case you were wondering. I wrote about my dietary changes here.